Is the "dreamfeed" the answer to a better night sleep? Is the “dreamfeed” the answer to a better night sleep? I breastfed both my babies to sleep. I know, we failed at self settling but I don’t care. It’s what felt natural and right for us at the time, and at the end of the day, doing what works for you and your baby is the best thing – despite whatever the books say. My mate at mother’s group on the other hand, was all about feeding schedules and sleep times. One day she told me she’d feed her baby at 10pm, even if she hadn’t woken for a feed. She swore it gave her more sleep as her baby wouldn’t wake for another feed until morning. While I heard her and was intrigued at the time, I was too tired to remember to give it a go myself. If you’ve never heard of the ‘dreamfeed’ here’s what it is, when it’s OK to try it and some things to remember. A dreamfeed is a breast or bottle feed that occurs when your baby is still asleep. So instead of her crying out for a feed, or you waking her up for one, she gets her night feed while still asleep. Your baby is unaware she’s feeding and as such doesn’t associate a breastfeed or the bottle with getting back to sleep (helping her to self settle). Her sleep isn’t interrupted by being woken up. You don’t need to settle her back to sleep because she hasn’t actually woken up. Proponents of the dreamfeed say it gives their baby a full tummy and an undisturbed night. They claim they’re no longer being woken in the night by their hungry baby (at say, 3am) and the whole family sleeps longer in the morning. They point out that older babies who’ve dropped the night feed, had their last feed at 10pm and not just the usual 7pm. As such, they aren’t starving come 5am and will sleep until 7am (they say!). Skeptics (like me) wonder how effective it really is, given that all babies are different. Plus, what about burping and also what happens if they DO wake up and are cranky?! Eeks! Well, according to sleep site, The Sleep Store, it helps if you don’t try this when your baby is too young or too old. According to The Sleep Store, the dreamfeed works best when your baby is aged between three and nine months old. “Babies younger than about 10 weeks often are too deeply asleep to drink,” they say. 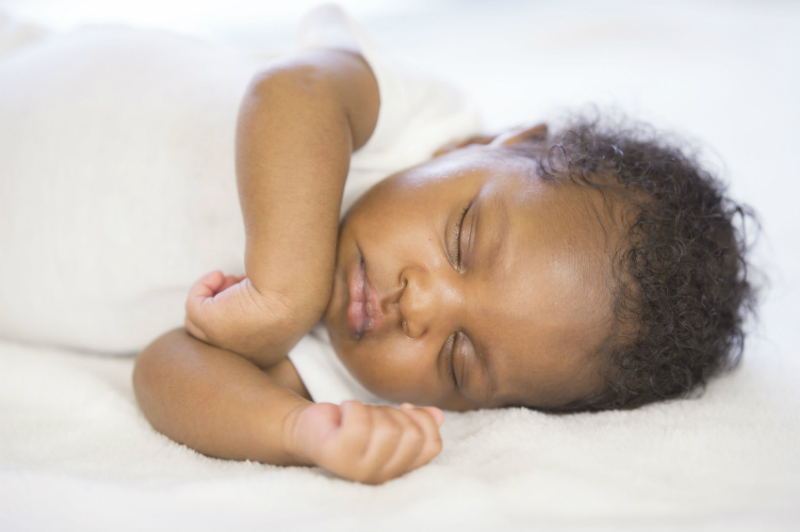 Babies over nine months usually sleep through the night and don’t need a night feed or dream feed. Gently lift your baby out of her bed at around 10pm and feed her on both breasts or give a bottle. You may need to stir her a little by tickling her lips. Don’t worry about burping or changing the nappy. Then put her straight back to bed still asleep. If your baby won’t feed, wait until she shows signs of moving into a lighter sleep, such as twitching or flickering her eyes and then try again. If your baby is self settling at bedtime but still wakes at night after the dreamfeed, give her three nights to adjust. For the dreamfeed to work, that is your baby doesn’t wake or require another feed later that night, she needs to be older than three months and able to settle without needing a breastfeed or bottle (gulp. This is where I would have totally failed!). Patting, rocking or other assisted sleep techniques are also off the table. If your baby doesn’t do this, then chances are the dreamfeed isn’t going to work for you at this time. She’s still going to wake up between sleep cycles needing you to help her get back to sleep. It’s recommended then that you work on removing your baby’s sleep associations and teaching her to self settle. If your baby wakes up from the dreamfeed, it’s recommended that you put her back to bed awake, so that she doesn’t require feeding to get back to sleep.